Rabbi Adlerstein is Director of Interfaith Affairs at the Simon Wiesenthal Center, which is involved in bringing together opposing groups and teaching them to cooperate. The center has brought together rival gangs, opposing religious groups, and even contending racial and ethnic groups. He says when people from different belief systems cooperate, everyone benefits. The center was one of the first groups to champion the cause of persecuted Christians around the world, and continues to advocate for them in national and international centers of power. One of the most powerful interfaith relationships is the connection that exists between Christians and Jews. “This friendship runs both directions,” said Rabbi Adlerstein. He says Christians around the world are the “best friends” of Israel and act as a “firewall” against the growing anti-Semitism in the world. In turn, Jewish people can help the Christian community flourish in the face of America’s changing attitude toward religion. “Christians have become the ‘new Jews.’ They are the most persecuted population in the world,” said Rabbi Adlerstein. “They are a cultural minority for the first time since the Mayflower hit the rock,” he said. “However, there is one group that has managed to survive and thrive as a cultural minority - orthodox Jews.” He believes Jews can help Christians understand how to navigate the changing times. President Trump rocked the world by publicly recognizing Jerusalem as the capital of Israel. He also ordered the U.S embassy be moved from Tel Aviv to Jerusalem — something that three U.S. presidents failed to do. It's what millions of Americans and Jews have been praying for and anticipating for decades – the United States of America recognizing Jerusalem as the capital of Israel. Rabbi Adlerstein explains, “I think it was one of the most positive things, possibly, on the road to peace.” Rabbi Adlerstein recently made Aliyah from California to Israel himself. Just under half of Israel’s population (49 percent) will be made up of Arabs and ultra-Orthodox Jews by 2059, according to projections by the Central Bureau of Statistics released by the Israel Democracy Institute. In 42 years, the ultra-Orthodox, or Haredi, community will have grown to 5.25 million people, or some 29 percent of the Israeli public, the figures estimated. Israelis who identify as ultra-Orthodox currently make up some 9% of the public, according to data released by the CBS last month (The Times of Israel, May 19, 2017). The Simon Wiesenthal Center is a global human rights organization that confronts anti-Semitism, hate and terrorism. The center defends the safety of Jews worldwide, and teaches the lessons of the Holocaust for future generations. However, the center isn’t only focused on the rights of the Jewish community. One of the most important functions of the Simon Wiesenthal Center is promoting human rights. For instance, The Simon Wiesenthal center was one of the most important advocates for persecuted Christians in Iraq and Syria. 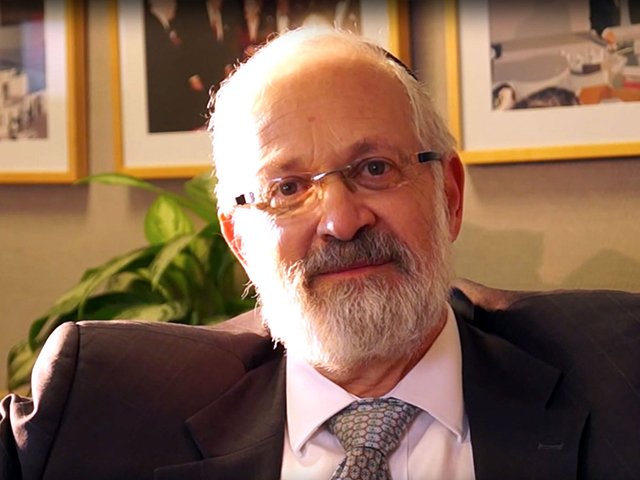 Rabbi Adlerstein said, “When there was lack of concern, education, and awareness, the Simon Wiesenthal Center stepped in that gap.” The center also educates national and international audiences through film. Received rabbinical ordination from Yeshivas Chofetz Chaim in New York.